In late November 1932, 40-year-old Abe Schiller walked into the Marin County Sheriff's Department headquarters in San Rafael, north of San Francisco. He introduced himself to Sheriff Walter Sellmer as a handwriting and fingerprint expert, presented credentials from the New York Police Department, and asked for a job. After confirming his abilities, Sellmer hired Schiller, at his own expense, to teach classes in fingerprint analysis to area police officers. Two weeks later, after Schiller failed to show up for work, checks totaling about $150, with Sheriff Sellmer's forged signature, started showing up at the sheriff's office. Only then was there a closer examination of Schiller's record, which revealed that he had been previously arrested for forgery, and had served time at Alcatraz Federal Penitentiary and San Quentin State Prison. He had been released from San Quentin six months before he applied for the job at the sheriff's office. Sheriff Sellmer had reason to believe that Schiller was headed south, to Los Angeles. He telegraphed a request to the Los Angeles Police Department on Sunday, Dec. 18, 1932, asking the department to keep an eye out for Schiller. After he fooled and stole from a law enforcement agency, Schiller's arrest was a high priority for the LAPD. The next day, the LAPD traced Schiller to the Wilshire Crest Apartments, at 1296 Wilshire Blvd., at the intersection of Witmer Street (a few blocks west of the current location of the Harbor Freeway). That evening, Det. Lt. Paul T. Lee and Det. Lt. Harry C. Lindley, both part of the Central Division's fugitive detail, went to the second-floor apartment of 25-year-old Joyce Whitney, described as a "former chorus girl." Lee and Lindley were inside Whitney's apartment, questioning her about Schiller, when they heard a knock at the door. Lee opened the door, and saw a man standing in the hallway. Lee and Lindley, believing the man was Schiller, identified themselves as police officers, and said they wanted to talk with him. In response, the man pulled a gun and quickly fired five shots, hitting Lee three times, in the chest, stomach and groin, then ran down the hallway, and down the stairs. Lee was able to return one shot after he was hit, but didn't hit the gunman. Lindley, who caught his injured partner as he fell, attempted but was unable to return the gunman's fire. Outside the apartment building, the gunman encountered three LAPD officers -- Lucius Selby, Lewis Dundas and John Ellery -- who were in the area investigating another case. They ordered him to stop, but he opened fire on them, with one of his bullets going through Selby's coat. The officers returned fire, but they also weren't able to hit the fleeing gunman. The gunman jumped onto the running board of a passing car, and ordered the driver to take him to Eighth and Hill streets, where he jumped off the car and fled. Lee was taken to the Georgia Street Receiving Hospital, where he died the next day from his injuries. He was 32 years old. But Lee's killer wasn't Abe Schiller, the man the officers were looking for. Instead, it was a 36-year-old mechanic from Oklahoma, with a history of robbery arrests in Oregon and Northern California. He had been paroled in June 1932 from San Quentin State Prison, about the same time as Schiller's release, after serving six years for robbery. When Lee and Lindley said they wanted to talk with him, he didn't realize that they thought he was Schiller. LAPD investigators later determined that Lee's killer had robbed a hat store at 328 West Fifth St. earlier that day, taking $20 in cash, and went to Whitney's apartment after the robbery. When he discovered Lee and Lindley there, he assumed they knew about the robbery, and had arrived at the apartment before he did. After the shooting, dozens of LAPD officers converged on the area around the apartment building, but the Lee's killer escaped. A massive search, described as "one of the most relentless manhunts in the city's history,” was undertaken, with "shoot to kill" orders from the LAPD. The manhunt initially focused on Bakersfield, where the killer's brother lived. Acting on a tip, police also searched an apartment building in Alhambra. There were sightings of him in Fresno, wearing a false moustache, and in San Bernardino. Eventually, on Feb. 5, nearly two months after Lee's death, police tracked his killer to an apartment at West Eighth Street and Normandie Avenue, about two miles west of the scene of Lee's murder, where the killer and his girlfriend had rented an apartment under assumed names. When the killer and an accomplice, also an ex-con, came out of the apartment building, nine LAPD officers, led by Det. Lt. Homer Spencer, were waiting, and ordered them to halt. Lee's killer stopped and started to raise his arms, then quickly reached for a gun in his pocket, and fired at Spencer, missing the officer. The other man also pulled out a gun. In response, the assembled officers drew their pistols and sawed-off shotguns and returned fire, killing both men. James Choate, an attorney who was walking past the apartment building at the time of the shooting, was hit in the knee by a stray bullet, but was treated and released at an area hospital. 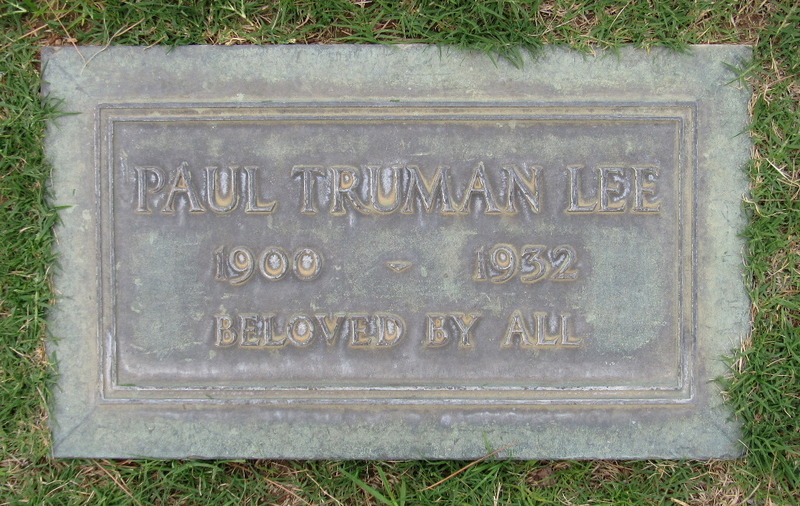 Paul Truman Lee was born in 1900 in Nebraska, the second child of Walter and Rose Lee. 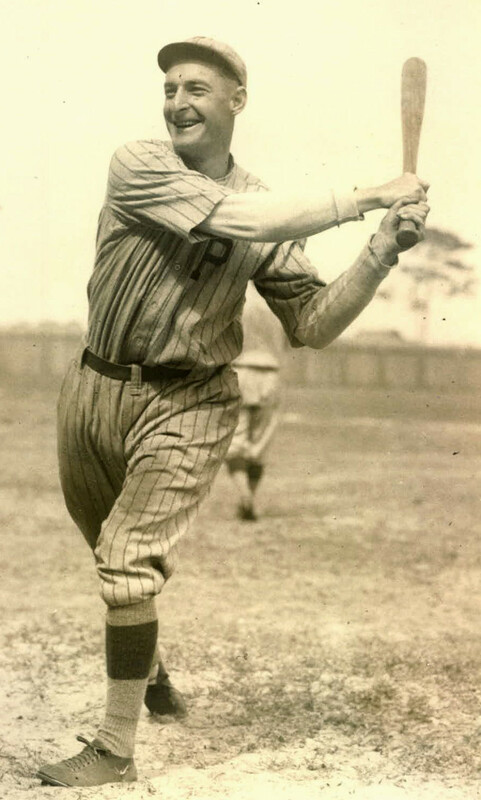 Lee's father was a store clerk and his older brother, Clifford, born in 1896, was a Major League baseball player from 1918 to 1926, playing for teams in Philadelphia, Pittsburgh, Cleveland and Cincinnati. After serving in the U.S. Army during World War I, Lee moved to Los Angeles in the mid-1920s, and joined the LAPD. By 1930, after a brief marriage, Lee was living at 3533 Glenhurst Ave., south of Glendale Avenue and a few blocks east of the Los Angeles River. A few blocks away, at 2967 Finch St., lived another recently divorced member of the LAPD -- Anne Dorthea Hahn, 32. Born Anne Kalbekath in Bremen, Germany, Hahn came to the United States with her parents when she was 9 years old, settling first in Oakland, then moving to Los Angeles, where she worked as a stenographer for the state Department of Transportation before she joined the LAPD, working as a policewoman in the Crime Prevention Bureau. 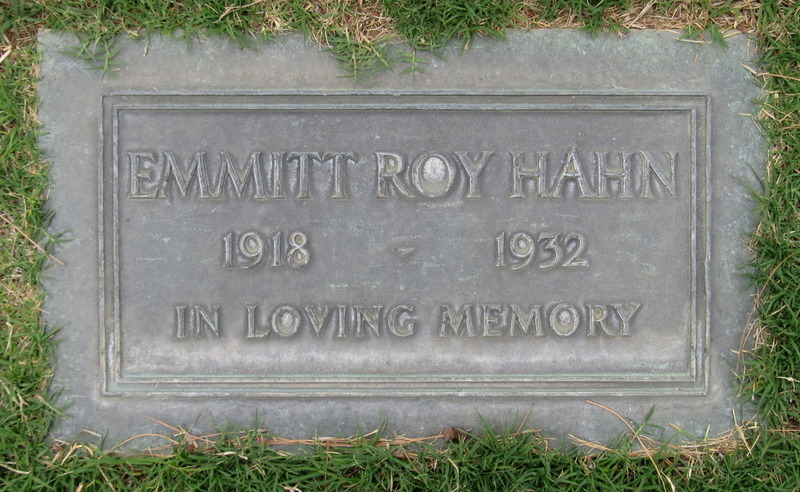 Hahn had a young son, Emmitt, born in 1918. It's not known if it started as an office romance, a meeting between neighbors, or something else, but by early 1932, Lee and Hahn were married, and he moved into her house on Finch Street. A few months later, the first family tragedy struck. 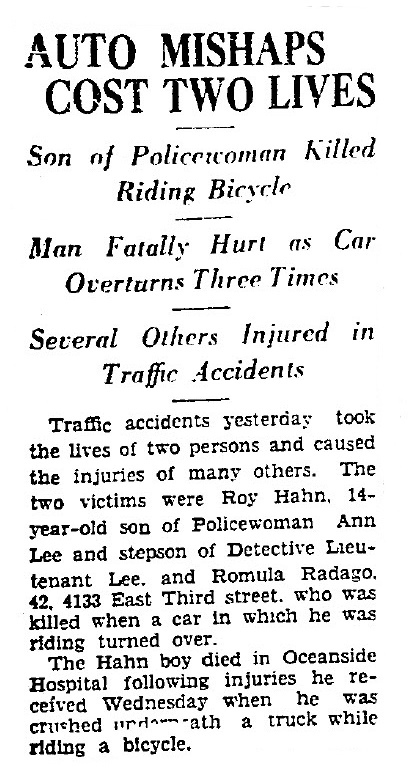 On Wednesday, July 27, 1932, Anne's son, Emmitt Roy Hahn, was riding his bicycle in Oceanside, in San Diego County, when he was hit and crushed beneath a truck. He died the following day at Oceanside Hospital, four days before his 14th birthday, and was buried at Forest Lawn Memorial-Park in Glendale. Less than five months later, Det. Lt. Lee was killed. Lee's funeral services were conducted with full police honors, with his body lying in state in the Los Angeles City Hall rotunda, surrounded by a military honor guard. His funeral was conducted at Patriotic Hall on South Figueroa Street, with participation by local American Legion and Masonic chapters. The initial plans were for Lee's body to be escorted by a squad of officers from the American Legion Police Post to Union Station, for transportation and burial in Denver, where his mother and brother lived. Instead, Lee's body was taken to Forest Lawn in Glendale, to be buried near his stepson. At the graveside service, Lee's widow, Anne, was accompanied by his partner at the time of his death, Det. Lt. Lindley. Lindley died 11 years later, on Dec. 3, 1943, at the age of 43, due to surgical complications after an appendectomy. He served with the LAPD for 19 years, and died six months before his retirement. 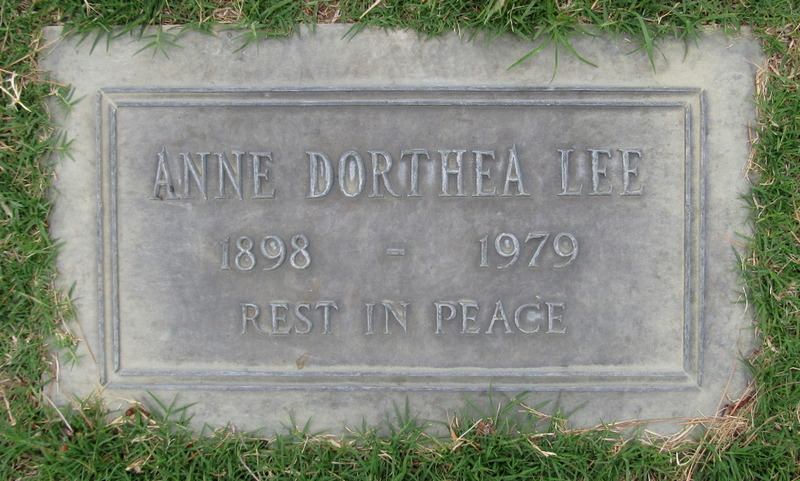 Anne Lee died in 1979 in Glendora, Calif., at the age of 81. She’s buried at Forest Lawn, between her son and her husband. 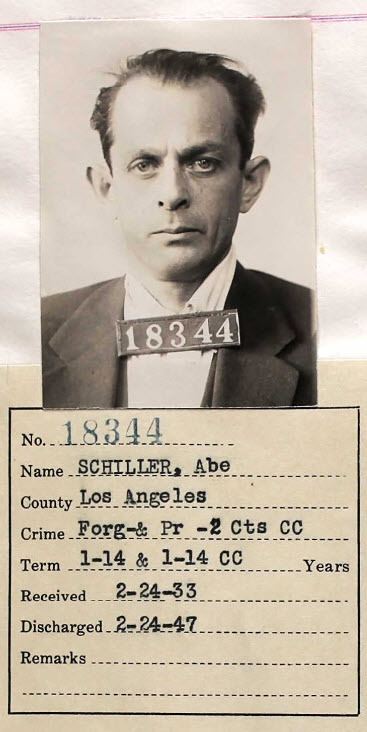 Abe Schiller, the forgery suspect Lee was searching for at the time of his death, was arrested on Jan. 26, 1933, in Santa Barbara, Calif., and admitted to police that he had forged about $1,500 in checks in Los Angeles. He was sent to Folsom State Prison, where he served 12 years, and was released in 1947. Det. Lt. Lee's sign is located on the south side of Wilshire Boulevard, east of Witmer Street.